Pirched above the Makena Blue Golf Course, at the top of Wailea, and offering unobstructed ocean views Keala O Wailea has started construction and foundation work. Brand new 2, and 3 bedroom condominiums will be available late 2017. There is not very much Real Estate For Sale in Wailea that have as dramatic Ocean Views as this project is expected to have. Currently presales for the condominium units have been very strong with over half of the Units For Sale @ Keala O Wailea presold. Prices currently starting at $779,000 for a garden view unit, to $2,149,900 for a Penthouse 3 Bedroom Condo with a prime Ocean View. Call Mitch Tempo at 808.385.7892 or email @ Mitch.Tempo@gmail.com to find out more information about Keala O Wailea, and how to Reserve your condo unit today. Towne Island Homes is releasing more Single Family Homes For Sale in Kahului as part of their Phase 3 release for Maui Lani Parkways new development. Home prices will be in the low $600,000 to $700,000 depending on the size and location of the home desired. There is a large waiting list for people who wish to purchase these brand new homes as the demand is high. Bank pre-approval, and deposit will be required to secure home reservation. Call Mitch Tempo @ 808.385.7892 to get more information regarding this release, and secure your unit today. Dramatic ocean and outer Island views from the upper road location within the Masters. This ground floor apartment was tastefully renovated recently with diagonally set travertine flooring throughout the main living areas and Brazilian Rosewood laminate flooring in the bedroom. The bath was redone with a fully tiled walk-in shower, new cabinet with granite counter and dual sinks. You’ll enjoy the well maintained tropical landscaping. The two rec centers with large pool, jacuzzi spa and the four tennis courts which were newly resurfaced. 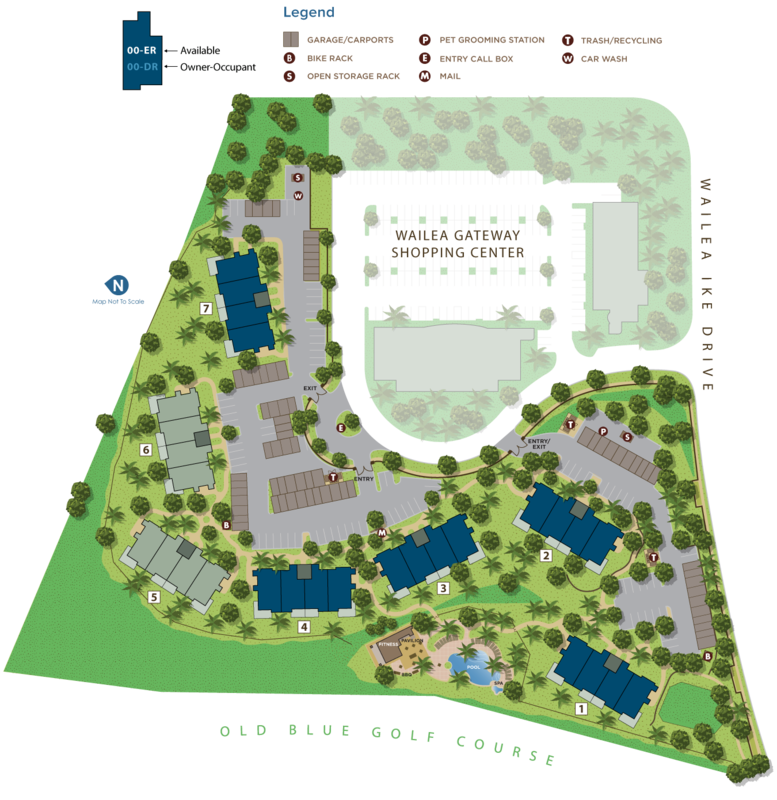 The Masters at Kaanapali Hillside is a very low density gated community with full time security and a wonderful staff you will come to appreciate. Buyers and /or their agents should perform their own due diligence. Photos shown with furnishings have been virtually staged and do not reflect the actual interior views. This beautiful, well maintained 2 bed, 2 bath residential condo is set for you to call it home! A great primary or secondary residence, Ke Alii Ocean Villas is a newer subdivision of larger, residential condos. This unit is the a great buy with it’s beautiful upgrade of Brazilian teak hardwood in the living area and a stunning African Mahogany custom built floor to ceiling cabinet is a wonderful addition to the living room area. Nice open layout and 9′ ceilings give an added sense of space. Granite counters in the kitchen and baths. Nice open kitchen with pass through and bar top seating adjacent to the dining area is perfect to chat with guests while working in the kitchen. Master bedroom includes a walk in closet, bath with stand up shower, separate soaking tub and his/hers sinks and direct access to the lanai. The second bedroom has a custom, built in Murphy Bed and a desk area for your computer/office space. This ground floor unit is actually a level “below” the parking area keeping the condo cooler. The larger lanai is perfect for entertaining or lounging with an additional storage closet area as well. Unit comes with a one car garage and one deeded, uncovered parking space. The complex boast some of the nicest amenities of any complex with the ocean view infinity pool, spa/hot tub, BBQ area, well equipped exercise room and a party/meeting facility. Half a block up to Kam I and Charley Young beaches, it’s a very short stroll to watch the sunset and/or whales! Good restaurants and shops are also conveniently within walking distance. If you are looking for a place enjoy “Living Maui Style” then add this to your list of “must see” units! Call for an appointment today! GREAT FAMILY HOME in the highly desired Ke Alii Kai Subdivision! This 5B/3B home has been pre-listing inspected and is ready to move in! Exterior and interior painted 2 years ago. The home boasts brand new windows in March 2016, ceramic wood tile flooring in the living area, brand new carpeting April 2106, tiled kitchen counters and granite counters in the bathrooms. Ceilings are 9′ on both levels with vaulted living room/dining areas. A great south Maui home and “the BEST BUY” of the subdivision. Central A/C, solar water, two car garage and additional parking on a flag lot driveway. Dedicated laundry room downstairs with lots of cabinets, sink, counter space and own entry door so can be used as a mud room. Upper lanai makes for great additional outdoor living area. Lots of natural lighting. The large master bedroom has a walk in closet, additional storage, bath with dual sinks, tiled walk-in shower and separate tub. The home backs up to a gulch giving more privacy and separation from the neighbors across the way. Low maintenance landscaping for easy living. Home is currently set up with a lock-off of two lower level bedrooms and a bath downstairs to make a perfect and private mother-in-law suite. A short stroll to Kam I Beach, Kamalii Elementary School, shops, restaurants and conveniently located just off the Piilani Highway. A well managed, family friendly neighborhood. If you want to enjoy “Living Maui Style” then don’t let this great deal pass you by! Call for an appointment today! HOUSE + OHANA! IMAGINE that at the end of every day you could sit on your SPACIOUS and private lanai, FEEL the breeze coming down from Haleakala, LISTEN to the birds peacefully chirping, and all while watching the UNOBSTRUCTED BEAUTY of the sun setting beneath the south Maui shore. This outdoor living experience is private, intimate, quiet and perfect for families, pet owners or those looking to get away from it all. A stone wall has been built around the perimeter of the yard, there is a 320 sqft covered lanai on the first floor and 320sqft covered lanai on the second floor both equipped with ceiling fans, a large uncovered redwood deck with additional room for storage underneath, a HOT TUB and high quality outdoor furniture, along with multiple picnic tables and plenty of room for storage! Inside the home boast of large open living spaces, GRANITE counters in the kitchen, TWO CAR GARAGE, tiled floors on the main level, large WALK IN CLOSET in the master suite. The Ohana comes with 2 covered lanais, a designated off-street, concrete parking pad, additional uncovered lanai and storage area, vaulted ceilings in the main living area, washer and dryer, and tiled floors in the kitchen and bathrooms. You will never need to worry about power lines being in your line of sight as all electricity to the neighborhood is underground. Maui living at its finest. Call your favorite Realtor to schedule an appointment. Upgraded 5 Bedroom 2.5 Bath S. Kihei Home on 1/4 acre located within walking distance to the beach, skate rink, park, Foodland grocery store, restaurants, library and more. No HOAs or maintenance fees in this are. This newer home was built in 2013 from the slab up. Tiled through out, granite counter tops, jacuzzi tub, ceiling fans, Bosch Washer/Dryer. Back yard is fully fenced with a covered lanai near the kitchen for entertaining. Very large mature mango, coconut, bananas, papayas, and lemons growing. Milo Court is Kehalani’s hidden gem. This 3 Bed 2.5 Bath condo complex is one of the few pet friendly complexes on Maui, with a 2 car garage. This lovely home is located in the cul-de-sac. The fenced back yard has irrigation installed, and neighbors the Yokouchi Family Estate. Floorplan is split with Living/Kitchen/Powder room downstairs, and 3 bedrooms/2 baths upstairs. Large Master bedroom has a generous walk in closet. Kehalani’s community park is currently being built next to the subdivision, with Puu Kukui Elementary school right up the road. Other close by amenities include Foodland Grocery Store, Coffee Bean, restaurants, Long’s Drug, Walgreens, County Buildings, Public Library and very close to Maui Memorial Hospital, Kaiser, and Maui Medical Group. Call your favorite Realtor to schedule a showing today. Location, Location, Location! Newer home in the heart of Paia. Close to it all. 2 1/2 blocks to Downtown Paia. Don’t miss this opportunity to own this meticulously maintained home close to it all! Large room sizes, Granite Counters, Large Bathroom, Walk-in Master Closet, Laundry Room, Extra Storage, Pantry, 2 Car Garage, Lawn Sprinklers, and Large Yard are just some of the many features of this wonderful property. The 2 Car Garage is over sized with lots of extra storage room. The Solar Water Heater system will bring down your electric bills. Plus, as an added bonus there is an additional 14 x 14 room that could be an additional bedroom, family room, or game room with it’s own private entrance! This property will sell fast so, get it before it’s gone. What an incredible lifestyle! Close to Hookipa Beach Park, Paia Town, Upcountry Schools, Incredible Paia Restaurants, Shopping, Market, and Gorgeous Beaches. The unique blend of shops, boutiques, and restaurants that make up Paia has become a destination by itself It is also nestled along some of Maui’s best beaches! Experience some of the best Wind Surfing in the World, year round! Sold fully furnished and turn key with all dishes and linens. Excludes work out equipment and mattresses and some personal items. Ocean View, Remodeled, Furnished, 1 Bedroom in Maalaea. Unit has been significantly remodeled with tile floor, granite counter tops, closet organizers. Maalaea Mermaid has covered parking, secured entryway, and located on the water. Located close to many amenities which include Tradewinds General Store downstairs, Maalaea General Store, Maui Ocean Center, Beach Bums BBQ, Hula Cookies and Ice Cream, Maui Water Park, Maui Golf & Sports Park.